Arsenal have reportedly been given reason for concern as it’s been suggested that Real Madrid are considering a swoop for Pierre-Emerick Aubameyang. The 29-year-old has been a key figure for the Gunners this season, scoring 22 goals and providing seven assists in 42 appearances as he continues to justify the £56m spent on him last January, as per BBC Sport. 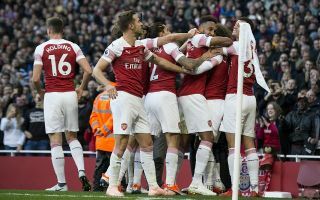 That has kept them firmly in the hunt for a top four finish in the Premier League, while they are still targeting Europa League glory. Whether that’s enough for the Gabon international is up for debate though, as he’ll surely want to be competing for major honours moving forward. As reported by Calciomercato, via Fichajes.net, it’s claimed that they could face concerns over keeping him at the Emirates, as Real Madrid have added him to their shortlist with a view of adding quality and competition for places up front with Karim Benzema. Arsenal will surely have no desire at all to sell their leading striker, as he continues to fire them towards their objectives this season. Nevertheless, should Real Madrid launch a big-money offer, it remains to be seen whether or not they can fend them off and convince Aubameyang to remain in north London. Zinedine Zidane returned for a second stint in charge last month, as it comes amid a bitterly disappointing season for Los Blancos as they crashed out of the Champions League and Copa del Rey last month and sit 13 points adrift of La Liga leaders Barcelona with seven games remaining. Major changes are expected at the club this summer as they look to get back on track, and having failed to sufficiently fill the void left behind by former talisman Cristiano Ronaldo, bolstering their attacking options will surely be a priority this summer. That in turn makes the Aubameyang link understandable, but it’s one thing it being a sensible move, and another entirely as to whether or not they can successfully prise him away from Arsenal.